Training Wheelz has been offering driving lessons in Tiverton since 2007. We have built a strong reputation by providing customer-centred lessons. We have been able to rely on recommendations to keep our Tiverton instructors busy and we are very grateful for our Tiverton customers for the reviews they have provided. Please look at our instructors and see what their customers have to say about them on our “Meet the Team” page. Are all driving instructors the same? Most definitely ‘NO’! This is one of the difficulties we face when attracting new learners. How do you decide when you could get lessons for less than £10 an hour right up to over £30? And then there are different grades of instructor. To confuse things even more, the grading system is currently changing from a 1-6 grading (6 being the best!) to A, B or fail, so some instructors are currently graded under the old system while others are still on the 1-6 levels until their next ‘check test’ is due. So does the cost matter to you? It certainly does. With driving lessons the phrase ”you get what you pay for” is very true. There is almost always a catch to the very cheap lesson offer, usually it is hidden away in their terms and conditions. “Beware the cost of cheap” is never more true! Driving Schools (like Training Wheelz) that charge a premium rate have confidence in their ability not only to provide high quality driving lessons but also have a level of customer service that is probably higher than that of an independent instructor working on his or her own. So what is different about a driving school offering “customer-centred” learning compared to the older style of “instructor-led” lessons? Basically, we take into consideration your views and feelings about how your learning is going and where you want to go next. At the end of each lesson we will recap how things have gone and what we can look to improve on and agree what areas to cover in the next lesson. For example, if we agreed to cover dual carriageways in the next lesson and then, when the lesson comes, you decide you want more practice on something else then we will do that. We wish you well in your quest to gain your full driving licence whether you choose Training Wheelz or one of our competitors. Initially the main determining factor was the cost and also if the instructor would be able to work around my timetable. Exeter Driver Training definitely wasn’t the cheapest one around. But, what made my mind up was that Kevin took the time to understand what I need and answered all the questions that I had in mind as opposed to other schools that I have contacted previously. I have a difficult timetable to work around - Kevin was very organised and was very accommodating. And it was important that the instructor knows what is required of the test and was able to help me progress quickly! I already knew how to drive but have not driven a manual for a really long time. I was surprised that I learnt how to handle a manual again really quickly. And, if I ever have to drive a manual again I think I would be able to handle it well as I have a better understanding on how to drive a manual car. I am now definitely a better driver than before. Kevin was very clear and always explained everything that I did not understand. Kevin was a great and experienced instructor. He understood what I needed and I passed! And having the access to the Theory Test Pro test was really helpful as well. "The most important criteria when choosing my driving instructor was to find someone who is motivating. Also to have someone who is patient and passionate about driving. Learning to drive was definitely a lot more difficult than I thought! But since I changed to Training Wheelz, it has been an absolutely amazing experience and I really enjoyed driving. The teaching methods used were perfect. My confidence in driving was really low after failing the test twice with my previous instructor and I got really frustrated with it. But Kevin motivated me and gave me confidence in my driving ability. I would 100% recommend Kevin. He is a brilliant instructor and someone who is passionate about his job. All the lessons I had with him were really enjoyable." Lisa a great instructor, I highly recommend her! ‘The most important thing for me when choosing my driving instructor was patience as I know that driving isn’t something you just pick up on. I needed someone that would make sure that no matter how much I struggled, I pushed on through. I guess you could say, someone motivational, which Christie certainly was! Furthermore, I needed an instructor who was clear and precise with instructions as I struggle with directions enough as it is. Finally, I needed an instructor who was friendly as there is nothing worse than feeling awkward for 2 hours and making mistakes in front of someone who made me feel awkward enough already! Fortunately, Christie was very clear with instructions, was very professional, but also made me feel so comfortable in the car! Learning to drive was harder than I expected. I found it challenging during the first few weeks, but soon began to find driving rewarding. “The most important factor in deciding who to learn with was the amount of positive reviews on their website. Other factors included having a good car, friendly, experienced and being able to start my lessons at Exeter College. I enjoyed learning to drive. I had hoped to take less time but Kevin’s experience helped me put in for my test at the right time. I found his teaching methods highly effective. I would definitely recommend Kevin as I passed first time. He was highly knowledgeable and friendly. When looking for a driving instructor there were a few things that were important to me. The main thing was that the instructor was friendly and easy to talk to. I felt like Christie was both of these things. At first I wasn't sure that I was ready to learn to drive, but as the lessons went on I started to think that this was the right time. I need to learn as it would really benefit me when I am working. Just want to say thank you to Christie and all the team for all you help. I couldn't have done any of it with out your help. I had heard brilliant things about the instructors about how supportive they are and how encouraging they are, so it seemed like the best place to go to. Over the time I was learning with Training Wheelz my instructor made sure I was comfortable doing all the aspects of driving, making me feel more confident over what I was doing, and helping me loads in areas I needed to improve on. I was given lots of advice for the best resources for my theory test and what I should work on for my practical test. Christie, who was my instructor, was incredibly supportive through my whole time using Training Wheelz and helped me build my confidence out on the roads. They make sure you’re confident on busy roads so for when you drive on them in the future you know what you are doing and how to do it safely. I would recommend these driving instructors to anyone currently looking for a driving instructor. It was a big decision to have a complete change of career and decide to become a driving instructor but one which has been the best thing I have done and I only wish I had done it sooner! I chose to do my training with Kevin from Training Wheelz. I realised using his (and Christie’s) company would offer me the quality of training needed to ensure that I was completely prepared for the 3 tests needed to become fully qualified. I initially looked into training with a larger driving school but after further investigation it soon became apparent that I would not get the 1:1 training and support I required. The training sessions with Kevin were informative (and fun!) and gave me both the knowledge and the confidence to go on and pass everything first time! Since qualifying both Christie and Kevin have used their experience and expertise to continue to offer support and guidance which is important especially during the early months of starting out in this new career. I can’t recommend them enough! "When I was looking for an instructor, the most important thing for me was finding someone who I felt comfortable and confident around. Most of all someone who would push me to my limits when I didn’t feel I was ready to take the leap. Other important factors was finding someone relaxed and making it fun and easy to learn not over complicating situations allowing me to make mistakes and not making me feel on edge when doing so. I found learning to drive fun and exciting and couldn’t wait for my next lesson, I always felt so nervous before but soon as I was behind the wheel the nerves went because Kevin was always so happy and always had a laugh. I found the teaching methods used really good and really easily explained so I knew what I needed to do nothing was ever over complicated which is really good for me and I have a habit of over complicating the simple things. I would highly recommend Training Wheelz due to my own experience I never thought I would ever be able to drive because I always found the concept really hard from a previous experience but having such a relaxed driving instructor who made things fun and simple gave me the biggest drive in life to finally complete my lessons. I’m greatly thankful for being given such freedom and a positive experience." "Having passed first time I am thrilled and I count myself lucky to have had Ray as my instructor. I was initially very nervous of driving in town, however his huge experience as a driver and teacher allowed me to feel safe and reassured straight away. Having driven ambulances for years, he genuinely cares about producing safe drivers, and with such a broad range of vehicle teaching experience our lessons were enriched by advanced insights and tips for safety. I loved how he would ponder how best to break things down, taking the trouble to bring useful YouTube clips to illustrate points. It was a pleasure to be trained by Ray, not least because of his jovial and down to earth nature. Thank you for helping make driving enjoyable Ray!" "As someone who waited a while to start learning to drive, my mum couldn’t have picked a better school to do it with. My driving instructor, Christie, was everything I could ask for. When it came to learning to drive, one of the most important things for me was to feel comfortable with who I was learning with. Christie gave me the help I needed without any pressure. She was incredibly supportive & patient with me and I must have tested her at the best of times aha! As someone who feels a lot of pressure & gets really nervous, Christie was great at keeping me calm and collected and helping me along the way. She was brilliant & I couldn’t have asked for anything better. I would recommend Training Wheelz and Christie in particular without hesitation & if you are thinking of learning to drive, please do pick this amazing driving school. She was more of a friend than a driving instructor & listened to me rant at the best of times. She was there whenever I needed her. Thank you so much for everything Christie. I’m going to miss our Monday & Tuesday conversations. I wish you the best." "Learning to drive with Kevin Raven at Training Wheelz was such a positive experience for me. Kevin was patient, calm and constantly reassuring when I struggled initially, and was always willing to work at my pace. Having been incredibly anxious to start with, the nerves soon disappeared as my lessons progressed and I would recommend Kevin and Training Wheelz to anyone who struggles with anxiety that's looking for a driving school. Thanks to the time and patience Kevin had I was able to pass first time!" "Learning to drive with Lisa was an absolute pleasure and I enjoyed every single lesson. Not only was she motivating, encouraging and patient, but she made learning to drive fun. Lisa is an amazing instructor, who has taught me more than just driving and I will miss her lessons and our laughs a lot. 100% would recommend!" “I chose Kevin as my instructor based on previous results with other learners and the reviews given by people that I know on what the teaching was like and what they thought about it. Other things that were important for me were how local they were to me and the fact that he could fit driving lessons around my school timetable easily so that I had regular lessons. Learning to drive was actually easier than I had originally expected. I thought fast driving was much harder than it actually was and thought that the car would be harder to control but it turned out to be fairly easy! I found Kevin’s teaching methods very helpful and useful especially for the more difficult manoeuvres such as hill starts and parallel parks. "I came across Training Wheelz on Facebook and they had a great deal on booking block lessons. I spoke with Kevin who put me in touch with Lisa and so glad he did as I wanted a lady instructor so I wouldn’t feel so nervous. Lisa was great at teaching and was kind and patient and made lessons fun. I was with Lisa for over a year and I looked forward to every lesson with her and our chats. I never thought I would pass first time but I did and that was down to Lisa and myself. It was a very emotional day for us both, not only did I have a great instructor, I now have found a friend in Lisa which is great. Anyone looking to learn to drive, Training Wheelz is the place to go – a great bunch of instructors." The most important factor for me in choosing Training Wheelz was that they were recommended to me by a friend. Other important factors were the price of lessons and that they are local and my instructor was friendly. I wasn’t sure what to expect when I started learning to drive and it was, perhaps, harder than I expected. The methods Kevin used were very useful in teaching me techniques that helped with my driving. I would definitely recommend Kevin as I passed! But also I was given confidence and belief in my ability. "Being able to pass due to personal circumstances was the most important criteria when choosing a driving school. Other factors included learning safely, the cost, the locations covered and their flexibility with my working hours. Learning to drive was easier and more relaxed than I thought it would be. I found the methods used very good. I felt very compatible with my instructor all the time, she was very relaxed, her teaching methods were strong and covered all the relevant areas. My instructor was quick to identify my weaknesses and applied more attention to them when teaching me. I would recommend Training Wheelz to others. I cannot pinpoint anything specifically with my instructor for improvement as she was excellent. Many thanks for getting me to pass so quickly – you have saved my life!" 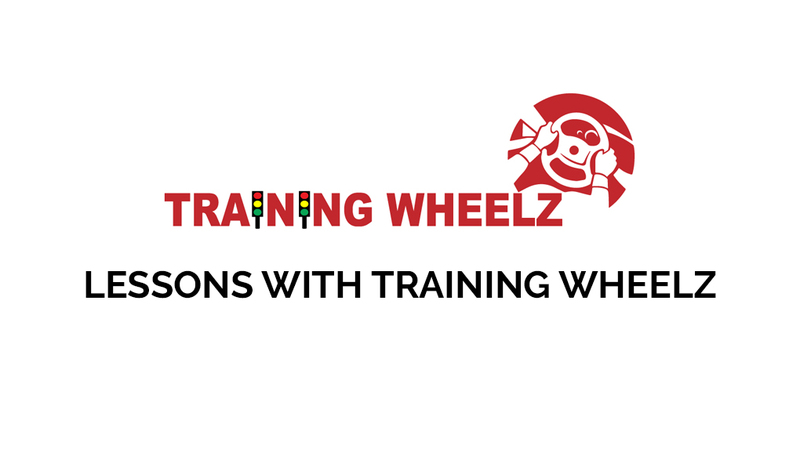 "I chose to learn with Training Wheelz after I had read their excellent reviews from past learners. I was really encouraged by all the positive comments. Another important factor for me was the availability of their instructor and flexibility with lessons. I wasn't sure what to expect before learning to drive. I didn't think I would enjoy the experience at all but luckily I really enjoyed my lessons. The teaching methods used were easy to understand and made learning to drive much easier than I expected. I would definitely recommend Training Wheelz to anyone looking to learn to drive." "I wanted to leave a review for my instructor, Kevin Raven, and Training Wheelz. I put off trying to get my license for years due to a very bad experience with previous lessons and instructors. Kevin helped turn those negative perceptions around with his friendly and positive outlook - I soon got my driving confidence back. Thanks to Kevin's patience and exceptional teaching methods, I was able to pass my practical test and achieve a long time goal that I almost gave up on. I cannot recommend Kevin Raven (and Training Wheelz) enough - if you are looking for great, friendly, and patient driving instruction, please get in touch with them!" "You taught me so much in the lessons and you were so calm with me. I m so glad I had those lessons with you and I found them so useful. I passed my test with just 3 minor faults so I couldn't be more thankful - I'm now free as a bird! I also wanted to say how well we got on which made me feel so at ease, we didn't stop chatting which was lovely." “The lessons were booked by my partner and she wanted someone local and recommended by others. What we really liked was the little portfolio of each instructor on the website so you felt they weren’t strangers when they came to pick you up. The lessons were for parallel parking as I’d never been taught this years ago. It was a very different experience to how I was taught 31 years ago as you are no longer instructed but encouraged to think for yourself, i.e. if you think you did it well, you are asked what was good about it or, if it wasn’t so good, then why didn’t it go so well, what could you do differently to correct it? I found the whole thing really useful as I was able to work out what I was doing incorrectly. E.g. turning too quickly, not going back far enough etc, and then correct myself. This will enable me to parallel park by myself in the future and give me the confidence to try more often as I now have the tools enabling me to perform the manoeuvre and correct any mistakes. The most important criteria when choosing my driving instructor was for them to be local and it really helped that I was able to have lessons after work. Other factors I had to consider were price, the length of the lessons and the dates that I was available as I work full time and had to fit my lessons in and around my work life. I expected learning to drive to be really difficult and I am quite a nervous/anxious person but Christie made me feel relaxed and comfortable and it didn't take long until I felt happy driving and it gradually got easier. Christie was a great instructor, I learnt very quickly. I found it really difficult to bay park and Christie helped me to find a point of where to turn and I am now successful almost every time. She is also very calm and relaxed and runs through everything afterwards. She always lets you know if you need to work on something, and then runs through with how to improve. I would recommend to others - I always used to be nervous about sitting in a car with someone and learning to drive (scared of looking stupid and like I will never be able to drive) and Christie made me feel welcome and I was very comfortable. She built up my confidence with driving and always told me that I could do it even when I was convinced that I couldn't. The main reason for choosing Exeter Driver Training was that I already knew my instructor (Kevin) and also that I knew other people who had passed with him so I knew I was in good hands. I was worried at the thought of learning to drive, however I felt comfortable and confident once I started. Kevin helped me not to worry about what other drivers were thinking about me. I found the teaching methods very useful, especially learning the manoeuvres. I have learnt to become a safe and confident driver so I would definitely recommend Kevin. The most important factor in choosing my driving instructor was that I knew him already and I knew we would be able to have a laugh when things didn't go to plan and that it wasn't the end of the world if this happened! Another factor was that I would be using my time effectively. I enjoyed learning to drive and I found it a challenge, which was a good thing and as I expected! The teaching methods Kevin used were very helpful and there were little tactics that he would teach me which were very helpful. I would most definitely recommend Kevin. The most important factor I was looking for in a driving instructor was that I wanted someone who would be patient. The cost of lessons was also an important factor. I didn't really have any expectations of what learning to drive would be like but I found the teaching methods Kevin used were well suited to me. I would particularly recommend him as I did find it a struggle to pass my test but he didn't give up on me. The most important criteria when choosing a driving instructor was that they weren't really strict and wouldn't make me feel uncomfortable if i did something wrong. Other factors I considered were that they didn't rush me to quickly to put in for my test, but also that I was pushed when necessary. For example having to start some of my lessons from outside college! Learning to drive was a lot harder than I expected but very enjoyable. There's so much you have to think about that I didn't even consider before I started my lessons. I liked the teaching methods used, I especially liked the tracking of my progress on the iPad so I could see where I needed to improve. I would definitely recommend Exeter Driver Training as I really enjoyed learning to drive and it wasn't stressful like other students had told me.I had a great time chatting away and it gives you the experience to get to know someone new. When choosing a driving instructor the most important thing to me was finding someone who was understanding of me having M.E and bad anxiety in new situations. Having an instructor who was understanding and flexible to my needs. Also helping me deal with my anxiety by letting my mum sit in on my first couple of lessons help to put me at ease. I was very anxious to begin with but Christie soon put me at ease. Once I knew the basics of driving I found it became easier each lesson and I became very comfortable in a car, which meant I was comfortable enough driving at home outside of lessons. I found Christie’s teaching methods easy to follow and always felt comfortable asking questions if there was something I wasn’t sure about. She also arranged a mock test for me with her business partner Kevin so I knew what to expect in the real thing. I would definitely recommend this driving school to others, especially if someone is very nervous about learning as Christie is very friendly and willing to go at your own pace. I don’t think there was anything that could have been improved for me, I felt very at ease with Christie’s guidance. "Thank you so much Kevin for all your help and support while I've been learning to drive.You have been so understanding and patient from the start and I couldn't have asked for a better driving instructor. My fear of driving is no longer there and I'm happy to say I have finally passed. I will 100% recommend you! I wish you all the best for the future - hopefully see you around!" I would just like to say a huge thank you to Christie for all her support, friendliness and encouragement that she's given to Natasha. As you know Natasha has her own problems to overcome and Christie has shown great understanding and has boosted Natasha's confidence beyond measure. So thank you once again and we shall recommend the driving school to everyone we can! I would like to thank Lisa for helping me get my confidence back. She took me on all types of roads and in all weathers. We went on country roads and, eventually, the M5 from Exeter to Taunton which I was not looking forward to. I now feel that my confidence to drive alone is returning and I cannot thank Lisa enough for helping me get to this stage. Learning to drive was always something I never thought I'd accomplish, but after a spot of travelling I reviewed my thoughts and decided to tackle my nemesis! Exeter Driver Training was something I saw via Facebook and decided to give them a call. Christie from the word go was always pleasant and supportive. I explained that I never wanted to drive and I had zero confidence, but that was never a problem for Christie. Every week she was consistent, reliable and showed such confidence. To my disbelief I passed first time! Without the constant guidance and reassurance from Christie I never would have achieved something so big. I cannot recommend this lady enough! The most important thing for me was having a driving instructor I could get along with. I also wanted to make sure I had someone who used teaching methods that worked for me. Learning to drive was less scary than I thought it would be and I improved faster than I thought I would. I would definitely recommend Kevin as his calm, friendly approach meant it wasn't at all scary and he helped me get more confident with my driving. The most important factors in choosing a driving instructor were that I wanted someone local who was able to be flexible about locations to be picked up and dropped off as well as being friendly. I found learning to drive fairly easy to understand as the atmosphere was friendly and relaxed. The teaching methods Kevin used were very good and I will use the tips he showed me. I enjoyed being able to learn at my own pace and to go back over things when needed. Kevin is easy to learn with and helps you learn to drive to the best you can without too much pressure. Christie is a very welcoming instructor, who creates a friendly environment to learn in. She is a good teacher and isn't forceful and can stay calm even when driving becomes stressful. I would definitely recommend her as a driving instructor. Just want to say a massive thank you to you. Without your support I have no doubt that I wouldn't of been able to drive. From the first time I sat behind the wheel I was so nervous, you gave me the confidence to drive. You made me realise I can do it and gave me so much support. From something I dreamed about doing for years but never thought possible you made happen! I will never forget our lessons together and I enjoyed every single minute with your guidance. You truly went above and beyond supporting me. I have no doubt that anyone else teaching me would of failed. Once again thank you Christie! Not only was Christie very helpful, but she was also friendly and easy to get along with. I would definitely recommend you to anyone thinking about learning to drive! Thanks again for everything!! I started to learn to drive with another driving school and ended up taking some time out. When I started with Christie I’d had a few failed sessions learning to drive with my parents! However Christie soon put me at ease with her calm, friendly manner and driving became enjoyable (most of the time!) In the time I have been learning to drive with Christie my driving confidence (and hopefully ability!) have increased massively. I have thoroughly enjoyed my lessons and I can’t thank Christie enough for her patience and support in helping me pass my driving test. I would highly recommend learning to drive with Christie. The most important criteria for me when looking for a driving instructor was that I wanted the support I felt I needed whilst learning. It was also important that there were good reviews from previous learners and that I would be getting the same instructor every time and they wouldn’t cancel any lessons at short notice or cut any short which has happened to some of my friends with another well known driving school in Exeter. I expected to take a long time to pass my test so I was shocked at how quickly I picked up each section of learning. I thought I would be scared and nervous for a long time. I can certainly say that I was made to feel at ease on the first day so I was relaxed for every lesson from then on. I found the teaching methods used very easy and the few I found harder Kevin managed to gently push me past what I thought my limits were and he soon had me on to the next part. I would highly recommend Kevin to all my friends and family and anyone asking for recommendations on social media sites. Not only was he reliable on every lesson and he never let me down and didn’t give up on me even when I failed my first test or had a bad lesson. He made me feel confident in every lesson and I cannot thank him enough. "It was important for me to choose a driving instructor that I could 'gel' with and who could fit me in at the times I needed. I also wanted someone who was flexible in this respect but also at a reasonable price. This is really what made me choose Training Wheelz. Everything about learning to drive was what I expected and the teaching methods used by Kevin Raven really helped me. I would definitely recommend them to anyone looking to learn to drive." The most important criteria for me when choosing a driving school was that I wanted a friendly reliable driving instructor and once speaking to Kevin who was very down to earth and so easy to talk to he passed me on to Lisa! I also wanted to feel comfortable behind the wheel which Lisa easily made me feel from my first lesson until my last. Learning to drive was a daunting thing for me but Lisa eased me into it and I found the whole experience so much easier than what I imagined. I found Lisa's teaching methods very easy to learn and she would make sure I've understood before moving onto another subject. Lisa was so patient with me and explained everything thoroughly. I would 100% recommend Lisa and the team they are very friendly and reliable instructors and would recommend them to anyone who is looking to learn to drive. As far as I am concerned, there was nothing you could have done better as you were great! Just a huge thank you once again on getting me my independence and becoming a driver! The main criteria in choosing a driving school was that they were going to help me improve from the previous times I took lessons and connect with me and truly understand any concerns that I had with my driving. It obviously helped that my mum knew Kevin and trusted that he would see me through. I actually did my lessons with Lisa. Previously having had lessons, I thought I knew what to expect, but this was completely different. I was made to feel completely at ease, not nervous. I actually began to look forward to lessons from the beginning. I would 100% refer you on to others. I will be doing so for my partner. Lisa was just outstanding; she really improved my confidence from the start. Then week on week would help me work on the kinks then by the next lesson they were ironed out which meant her training methods were clearly working. Actually when I passed my test she reminded me of our first lesson and when I got in to her car, nervous and really unsure about my capability with my driving, how I mentioned I was awful at hill starts. We then went on to practice them and with her taking her time and talking me through it I have become a pro and they have never been a problem. That just goes to show how much faith in myself she has helped me regain. I do not believe I could have done this without her ongoing support and time. Every week has been a pleasure with you Lisa, thank you for always cheering me up and putting a smile on my face, due to potholes and roundabouts. I now know when to use my fog lights and when it’s past 12 o clock I can go in the right hand lane. Remember boys and girls, a driving instructor isn’t just for driving, they are for life. "I loved learning to drive with Training Wheelz, although I am pleased with passing first time I am going to miss complaining about college to my fantastic driving instructor Kevin R on my lessons. Never thought learning could be so much fun. Would highly recommended." My journey to become a driving instructor started when I had a meeting with Kevin and Christie of Training Wheelz. At the meeting we discussed the training process and they answered any questions I had. Following the meeting I decided I would like to train to give myself the opportunity to learn something new and as I enjoy driving and meeting new people I thought it would be the career for me. The first part of the training was the theory, Training Wheels provided me with all the reading material and training books. If I had any queries or questions Kevin and the team were there to help. The second part of my training was about my driving which was quite good with a few bad habits. Kevin helped me to improve my level of driving. Part three was the teaching part and Kevin's lessons were well structured and detailed, Kevin helped and adapted the lesson to ensure I understood. Kevin was very patient and I enjoyed my lessons. For me, it was a huge learning curve. There were times when I didn't get it or I looked at Kevin with a blank expression and couldn't think of the right words or my mind went blank. Kevin helped me to understand and to build my confidence helping me to see where my weakness were and improving my skills. Once my training was complete I could experience lessons with a student putting all that Kevin had taught into practice. Kevin and Christie sat In the back observing some of my lessons which was incredibly valuable, helping and advising and giving me feedback to improve my lessons and learning. I am delighted to have qualified in November 2019 and I am really enjoying my new challenge. I would highly recommend Kevin and Christie and the team to provide excellent training to provide you with the tools and knowledge to become a driving instructor. They continue to be here for me to listen and help me with any questions I have. Give Training Wheels a call, it’s the best thing I did. When I learnt that I was being made redundant after working for a major energy supplier for nearly 18 years, I was disappointed but also saw it as an opportunity to do something different to what I had been doing before. At the time, my son was learning to drive with Training Wheelz. I had a look on their website and then spoke to Kevin Sellwood over the phone and arranged to meet him with my wife to listen to what he had to say and understand what the hours were like along with potential earnings. Everything he said we felt was honest and clear. Some of the other instructors who were already with Training Wheelz, previously worked at the same place I was being made redundant from. Again, all I heard was positive comments, not only about their daily role but also how different they felt when they got home at the end of the day. I met my trainer, Christie, again, who I had previously worked with four years previously so I knew her quite well. Christie explained how it would all work, the different tests involved and how the training would work. All of this was very clear and despite knowing Christie, she separated our friendship and during the training remained professional to help me achieve my goal. I passed my final part three test on Valentines Day 2019 and during all my training, I was treated as an individual person. Christie was there for me 100% throughout, remained calm, collected and encouraged me at times where I was feeling low and doubting my ability to do this. The support did not stop there though, everyone associated with Training Wheelz has helped me, whether that be advice but also letting me sit on their lessons. All of it is really appreciated and I am so glad Christie and the rest of Training Wheelz team were there for me as I would not be where I am now, looking forward to a brighter future. If you are thinking of learning to drive or become a driving instructor, I would highly recommend at least contacting Training Wheelz and find out for yourself. I have passed all three parts of my instructor training with Kevin and the team at Training Wheelz and I am very pleased with the result. I would not have passed any part of it without the help and support that I received from Kevin. Right from the very start of our training sessions Kevin helped me fully understand what was required from me to pass each of the three parts of the PDI training program and his training was structured to ensure that everything I needed to know was covered in the detail that I needed. Kevin fully adapted our training sessions to my learning style and fully understood what worked for me and how I could get the best from each of our sessions. Whenever I felt that things were not going well Kevin always looked for other ways to go through things with me to ensure we got there in the end. He was there for me at each stage of my training and his support, advise and coaching throughout has been great. Now that my training is finished, I know that it’s really only just started and I still have a lot to learn, but training with Kevin has given me the best start I could have asked for along this journey. And I also know that Kevin is always at the end of the phone if I needed any advice. If you are thinking of becoming an ADI then I cannot recommend Kevin and the team at Training Wheelz enough. The best decision I made with my training was to change to Training Wheelz. I wasn't originally looking to change driving/training schools but had already approached Kevin through Facebook on many occasions for advice on things during my own lessons and he was always happy to help. It rapidly became obvious that I probably wasn't going to get through Part 3 without upping my game, and with that came upping my training. Kevin was always happy to help, be it face to face, through Facebook, texts, messages. He sat in on as many lessons as I wanted and came up with incredibly useful suggestions on how I could improve my teaching. He was flexible in his teaching style, he was happy to be quiet in the back and give notes at any point you asked for them, or talk throughout the session or even on one occasion when I wanted him to teach one of my own students he just jumped into the passenger seat and did it. Our last couple of sessions were done as a "soft Part 3" with the breakdown of notes to follow in the same structure, which I personally found incredibly useful. I can definitely recommend Kevin and the Training Wheelz team if you are wanting to become an ADI. I failed my first Standards Check after qualifying and felt so embarrassed and thinking I wasn’t up to this job. When I spoke to Kevin he just took all the embarrassment away and made me realise I can do it. We arranged for me to observe some of his lessons and then for him to observe a couple of mine. We also did some role play and with the help and guidance he gave me I’m pleased to say I passed next time! I had failed two Standards Checks so I was looking at possibly not being able to continue as an ADI. I arranged to have two sessions with Kevin where he role played a learner. He was invaluable in highlighting areas where I needed to either improve or change my approach so I was able to pass next time. Great and realistic instruction, thank you so very much. “The most important factor for me in choosing a driving instructor was the cost as I also have to spend money on food and transportation to work. Other factors included availability and location. I work two days a week and as I live in a village I needed to know if I had to travel somewhere for my lessons. I wasn’t sure what to expect when I started to learn to drive but things went pretty smoothly for me. I was pleased with Kevin’s teaching, it was really good – I passed my test first time. He helped me and when something didn’t go quite right he helped me to sort out the reasons and to work out how to go about correcting it. I chose Exeter driver training to teach me how to drive due to the fact that they were local. I needed lessons fast as I wanted to pass my test before my baby arrived and they had availability. I had Christie as my driving instructor she made me feel comfortable in the car. I am a shy person and struggle to get along with new people but Christie's friendly attitude made me feel really relaxed. Christie managed to help me pass first time and I would definitely recommend her to others. After reviewing possible Driving Instructors Online, i decided to go with Exeter Driver Training with Christie Palfrey. I found her very supportive in all my driving lessons and i found her very relaxed and patient with me throughout my lessons. Christie was very flexible around my work commitments. She also gave me the confidence after a while to go ahead with my Driving Test in Exeter. Just like to say to Christie "Thank you for helping me to Pass my Driving Test!" "The most important thing for me when choosing a driving instructor was finding someone who put me at ease when in a bad situation and worked around my work hours. I wanted 2 hour lessons as well. When I first started driving I thought it would be very difficult getting used to all the gears and reading the road signs while driving but it was a lot easier than I first thought. Amazing Kevin made learning to drive so much easier for me with a lot of support and help. I have already recommended Kevin, I can't fault him as he has done so much for me and he has never given up hope that one day I would pass. he made me feel comfortable when driving and always gave me advice and support no matter how many times I said I was going to give up with driving. he always helped me back up and into that drivers seat. I can't thank Kevin enough for everything he has done." Learning to drive with Christie was amazing, she is so patient. I felt comfortable with her from the first day I started lessons. She helped me to overcome fear and nerves about driving...can't thank her enough for all the time she took to help me through everything. I'm so happy and proud that I have passed and I've only got Christie to thank for that. I'm going to miss our lessons and chats. I would definitely recommend to all of my friends and family. Thank you for everything. Angie (Mum) - The most important criteria when choosing an instructor for us was availability, price, reviews from previous students and to provide honest advice. Exeter driver training provided these, offering realistic expectations, experience and flexibility. Dan (Student) - I found the lessons more relaxed than expected and not too strict. The teaching methods used were effective for me as they weren't rigid, our lessons were flexible and tailored to me. I would recommend Christie, as I was keen to go to each lesson and enjoyed learning with her. Christie is reliable, honest and competitive. I wouldn't have changed any of my learning. "It was important to me to be able to start off at Westpoint before progressing on to the road. I was also pleased to have my early lessons start from Sidmouth and that they were 2 hours long. I found the easiest part was the mechanics of the car and the rest was getting experience on the road. Kevin was clear in what we would do in each lesson and things were clearly ex[plained as to why we were doing them. There was a good pace to lessons and the learning was adapted to my changing needs. Lessons always started on time and I got honest feedback to help my progress." "The most important factor for me in choosing a driving instructor was mainly how much the driving instructors are flexible with your times within reason obviously. Also, that they are very patient and willing to let us learn at our pace. The price was always going to be a factor which I thought was reasonable but was very good value for the level of training I felt that I was getting from Lisa and any other driving instructors I met during the process of me learning to drive. I thought learning to drive was going to be much more complicated than it was but it was quite simple and it was just a job of critiquing my small mistakes which I felt took the time. The teaching methods used were very easy to follow and were very versatile from each manoeuvre to actually driving. I would most definitely recommend Training Wheelz for the value for money and the overall standard of teaching." "I was a bag of nerves when I first started my lessons with Kevin (Raven) but he was so patient, very helpful and gave me so much confidence on the road. After helping me to pass my test first time I highly recommend Kevin to anyone who wants to start driving lessons." "The most important factor for me when choosing a driving instructor was that they were friendly, patient, motivating and be a responsible instructor. Other important things were that they had availability, a car that was easy to drive and comfortable. Good reviews from previous learners was important too. Learning to drive compare totally meet my expectation. And I love the website that I can log on to practice my theory test. It was very effective. The teaching methods were very flexible and not rigid, it was perfectly suitable for me. Also, I was very impressed with the technology tool (iPad) that Kevin used to explain the road conditions for me. I would most definitely recommend Kevin as he is very patient and put me at ease, and everything felt comfortable, even though my spoken English is not very good." I agree to Training Wheelz collecting & storing information from this form to process my enquiry.